Laura qualified from Cardiff University Dental Hospital in 2008 and has worked in General Practice since. Laura has worked at Bethcar Dental Practice since 2009 although she did undertake brief sabbatical to study a Postgraduate Diploma in Conscious Sedation at Cardiff University. In 2013 she returned when she and her husband Rhys to purchase the practice. 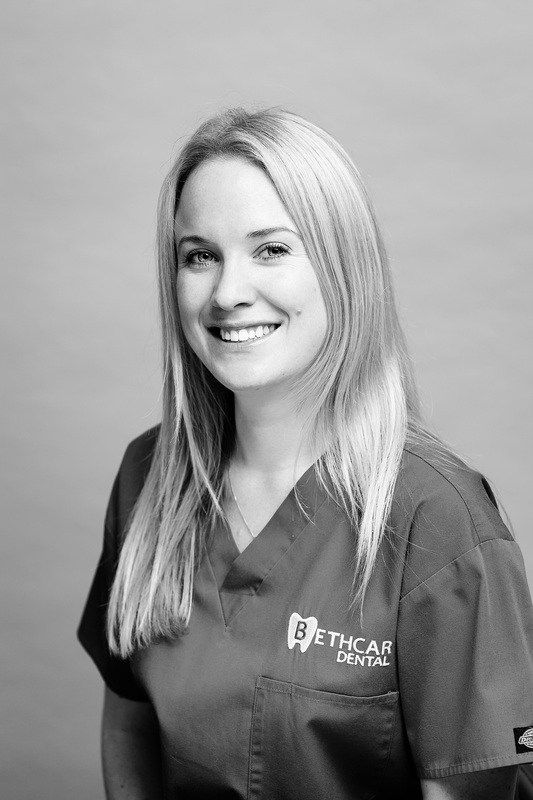 Laura’s reassuring and gentle manner will appeal to any nervous patient, she prides herself helping patients understand what’s possible and working with them to achieve their aims, whether it’s a simple treatment or a complex rehabilitation. She always involves patients in decisions about their treatment so that they feel relaxed and empowered about the choices they make. Over the past 5 years, Laura has in particular pursued her interests in cosmetic orthodontics, teeth whitening using tray bleaching and to compliment these cosmetic procedures she also performs wrinkle relaxing injections. A firm believer in the importance of lifelong learning, Laura regularly attends postgraduate courses to update his knowledge with the latest advances in dentistry. Following the successful completion of the MJDF examination in 2013, she is a member of the Joint Dental Faculties the Royal College of Surgeons.